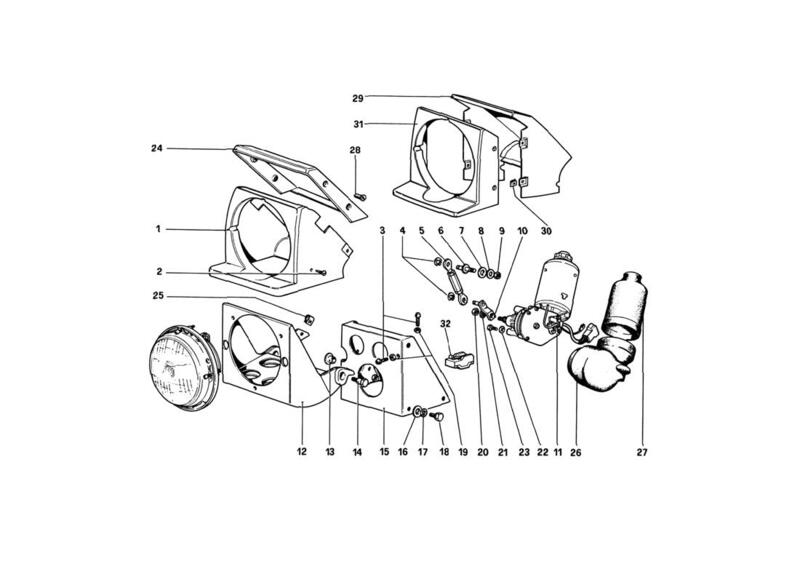 Ferrari 308GTB/GTS HEADLIGHTS LIFTING DEVICE - Ricambi America, Inc. Location: 1 Prev | Next Part: 60333705 *Qty: 1 Contenitore proiettore Dx. Location: 1 Prev | Next Part: 60333804 *Qty: 1 Contenitore proiettore Sx. Location: 15 Prev | Next Part: 60098407 *Qty: 1 Supporto ghiera Dx. Location: 15 Prev | Next Part: 60648300 *Qty: 1 Supporto ghiera Sx. Location: 15 Prev | Next Part: 60648000 *Qty: 1 Supporto ghiera Dx. Location: 15 Prev | Next Part: 60648200 *Qty: 1 Supporto ghiera Dx. Location: 15 Prev | Next Part: 60648100 *Qty: 1 Supporto ghiera Sx. Location: 15 Prev | Next Part: 60201506 *Qty: 1 Supporto ghiera Sx. Location: 29 Prev | Next Part: 60570600 *Qty: 1 Contenitore proiettore Dx. Location: 29 Prev | Next Part: 60570700 *Qty: 1 Contenitore proiettore Sx. Location: 31 Prev | Next Part: 60570900 *Qty: 1 Rivestimento ant. contenitore Sx. Location: 31 Prev | Next Part: 60570800 *Qty: 1 Rivestimento ant. contenitore Dx.